Here is Fiberglass Tower Manufacturers talking about the desulfurization tower. If you have any idea about the Fiberglass Tower, welcome to contact us and discuss. 1. 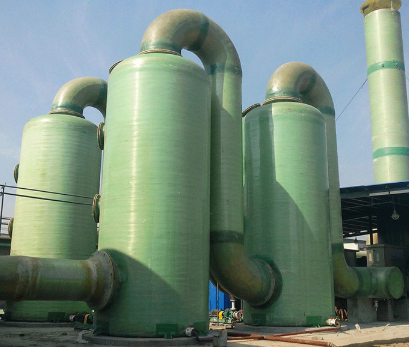 Mixer: The stirrer is located at the base of the desulfurization tower also mainly plays the role of slurry agitation, mainly to prevent the precipitation of particles like gypsum. 2. Oxidizing air duct: The oxidizing air duct primarily injects air into the slurry pool from the tower, and sulfite is oxidized into sulfate. Generally, the supporting gear is an oxidizing enthusiast. 3.Sprinkler pipe: The spray pipe is the slurry that's pumped to the glazed tower slurry pool page through the flow pump, and then the slurry is atomized and dispersed through the nozzle to absorb the SO2 in the flue gas. 4. 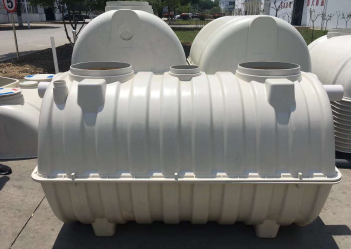 Demisters: The main role is to eliminate the droplets carried in the flue gas and remove water. Other technology will be equipped with accessories like baffles or uniform plates. Want to know more about the price of Fiberglass Tower For Industrial Park, you can consult us.